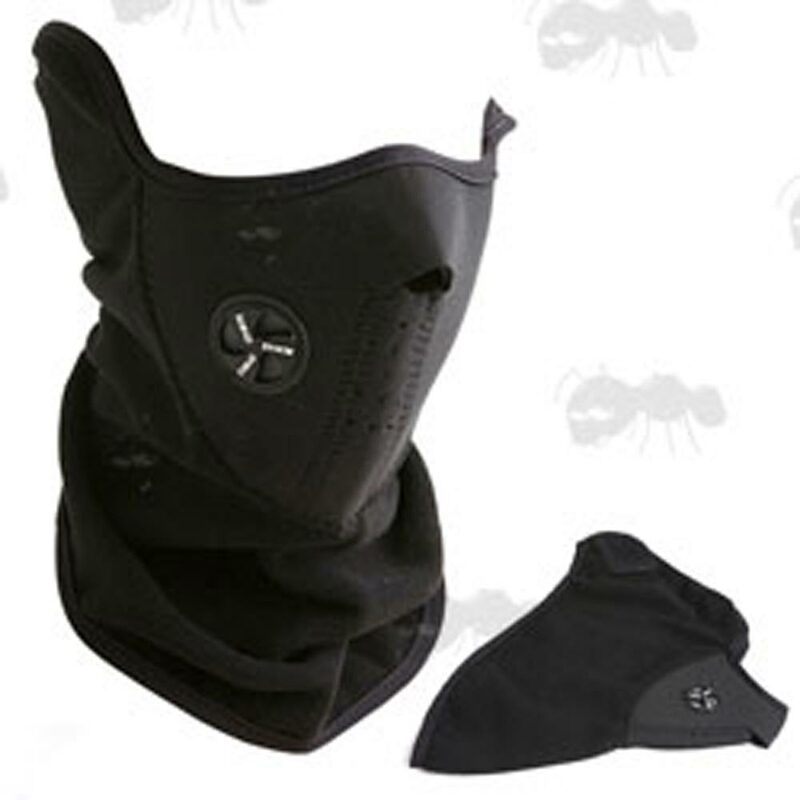 Can be worn separately as a face mask or under a helmet or mask (airsoft/paintball) for extra comfort as a face mask comforter. 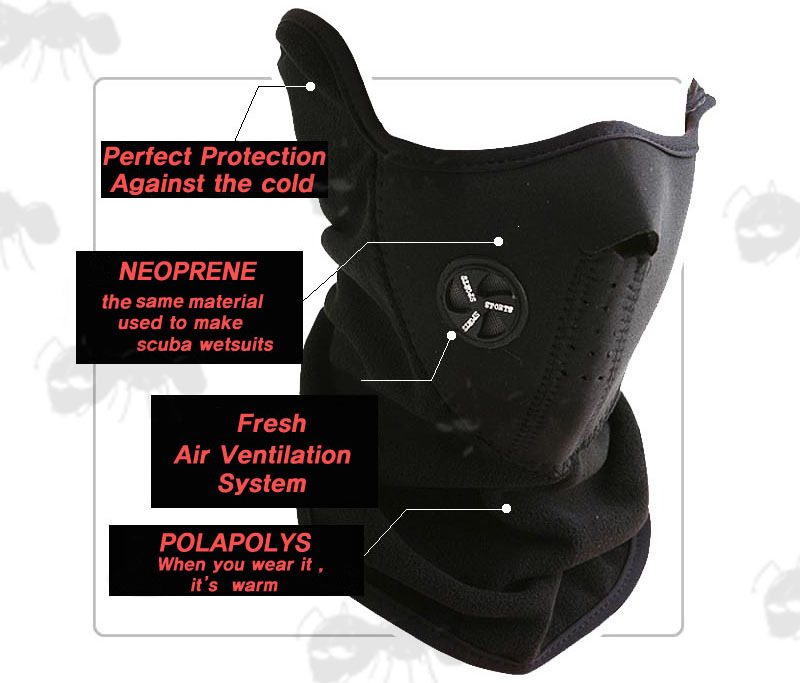 Neoprene mask with fleece warmer. Can be worn separately or under helmet for extra comfort. Velcro fastener, one size fits most. 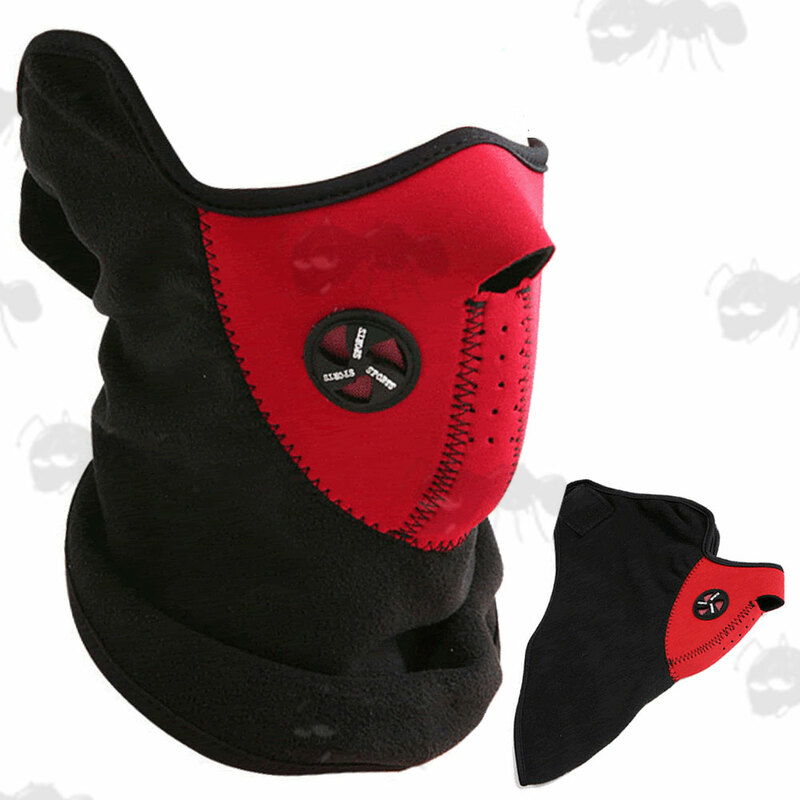 For cycling, motorcycling, snowboarding, skiing, airsoft, paintball etc. Protects from hot/cold, wind, dust, sun and bugs etc. Can be reversed and worn inside out. Also available ~ Lower face neoprene masks.